CalDigit’s AV Pro external storage device is designed to help creative professionals streamline their workflow. You can choose from two models: one holding a 3.5-inch hard drive and one containing a 2.5-inch solid-state drive. With both models, you can easily replace the drive mechanism if you need to. We tested a 240GB SSD unit and a 3TB hard-drive model, and both performed impressively. The transfer rates for both drives over the FireWire 800 interface were in the 82-to-88-MBps range. But over speedier USB 3.0, the SSD AV Pro yielded faster rates, as expected. In our AJA System Test, the SSD model posted a write speed of 243.6 MBps and a read speed of 266.3 MBps, while the hard-drive model scored a write speed of 196.6 MBps and a read speed of 200.4 MBps. In our test requiring it to transfer a 10GB folder, the SSD AV Pro yielded a write speed of 229.3 MBps and a read speed of 226.4 MBps, while the hard-drive model wrote the same folder at 189.4 MBps and read it at 192.2 MBps. The AV Pro comes with software for monitoring the drive’s activity and managing its contents. 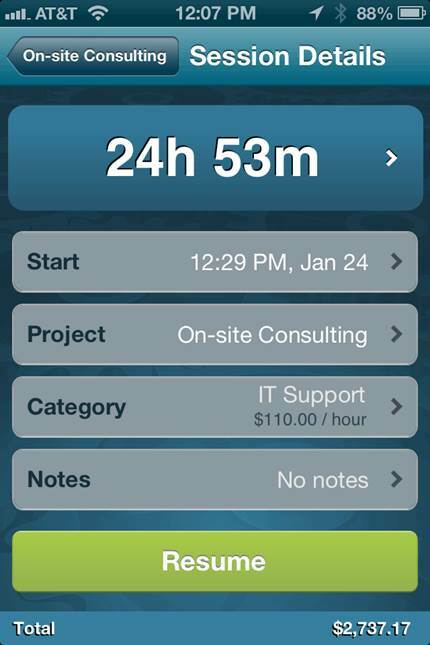 And an iOS app lets you monitor performance, perform diagnostics, and contact tech support. Media professionals in need of a speedy external drive of handling a mass of files may find the AV Pro to be a perfect fit. It’s easy to sue straight out of the box. And if you fill up a drive, you can quickly and easily replace it with a fresh one. HP’s Officejet Pro X576dw color inkjet MFP aims to compete with business color lasers by offering competitive print speed and quality, and super cheap consumables. Text and mixed monochrome pages printed at an aggregate 22.6 pages per minute on the PC (using PCL6) and 24.9 ppm (using Postscript) on the Mac. Color 4-by-6-inch photos flew out at 6 ppm on plain paper and about 2 ppm on glossy paper. The output quality may fall a dot or two short of laser-black and laser-sharp, but you’d have to be very picky to care about the difference. In addition, this MFP boasts a low cost per page: A four-color page works out to 6.8 cents per page, while black is 1.3 cents. It’s impossible to know whether many laser lovers will give the Officejet Pro X576dw a chance, but if any inkjet deserves a fair hearing, it’s this one. Apple’s $1000 Thunderbolt Display is too pricey for many people, especially if you don’t need its extra ports. Monoprice hopes to shake up the display market by offering its 27-inch IPS LED CrystalPro monitor for under $400. However, to achieve those savings, Monoprice had to cut some corners. Both monitors use LG’s glossy 2560-by-1440 LED-backlit, 27-inch IPS LCD panel, and both have similar viewing angles and display very legible text even at small point sizes. The Apple display’s color temperature was considerably cooler, though, and photos had more depth. The CrystalPro’s fit and finish are evidence of corners cut: The black plastic case is generic looking, with a flimsy stand. And of the seven buttons at the bottom, two do nothing. No on-screen menus show you where on the scale from low to high brightness or volume is set; you just press the appropriate button until the display looks or sound good. And the monitor’s speakers sound tinny compared with the Thunderbolt Display’s speakers. The CrystalPro has only a DVI port – no DisplayPort, HDMI, or USB. If you can do without those, as well as Thunderbolt and Ethernet, and you don’t mind the display’s other limitations, you’ll enjoy performance that matches that of pricier displays. At one time or another, you might be asked to grab a screenshot to help diagnose a software problem, or you may just want to share an amusing part of a webpage or Facebook post. OS X provides free ways to grab a screenshot – for example, you can capture your whole screen by pressing z-<Shift>-3. But to capture a video of your screen or to show what keys you’re pressing, you need an app like the venerable Snapz Pro X. This program has passionate followers, but with this new version it shows its age, offering no major new features. Meanwhile, less-expensive competitors, such as Tech-smith’s $50 Snaglt and Global Delight’s $30 Voila, have come along. Those two applications offer features such as image editing and the ability to capture scrolling webpages and even parts of pages, such as toolbars and buttons. Snapz Pro still gets the basic job done, but you can find fuller-featured, more-affordable alternatives. OfficeTime is a basic yet useful time tracking and invoicing program that lets you use your Mac or iOS device to gather time spent on a project. You can easily sync the data between devices and then invoice your customers. The program requires some setup: You must first create categories and projects and set hourly rates. The app comes with a small set of predefined categories that you can add to. When you set up a new project, you give it a name and an ID, link it to a specific client, choose a default category, and then start timing your project. You can use OS X’s Contacts app to add contacts to an invoice, but I found this feature a bit clunky. And the app’s reporting functions, though useful, are rudimentary. OfficeTime is good, but it isn’t up to the level of similar apps that offer more and cost less.